From its perch on the Baltic Sea, the tiny former Soviet nation of Estonia has become an unlikely leader in all things digital. Its government has already embraced blockchain, declared Internet access a basic human right, and embarked on a massive undertaking to become a “digital society” where everything from identity to voting is digitized and linked together across one massive platform. Given this, it’s no surprise that this nation would be quick to embrace another up-and-coming technology: DNA testing. This month, the Estonian government kicks off a program that aims to collect the DNA of 100,000 of its 1.3 million residents. In return, it will offer them lifestyle and health advice based on their genetics. Estonia will be the first nation to offer state-sponsored DNA interpretations to its citizens. The goal of the program is to offer citizens personalized health information that could potentially help them prevent or minimize illness in the future. Each participant will receive a personalized genetic report, based on an analysis of hundreds of thousands of variants that have been linked to disease. The nation then hopes to link that genetic data to the Estonian National Health Information System, which includes online citizen health records managed by the state. Physicians could then access that data easily when treating patients. Estonia, like the UK and Iceland, already has a well-established biobank program that began in 2000 and has collected and studied the DNA Of 50,000 Estonians. This initiative will triple the size of that biobank data. Eventually, Estonia hopes to have a national biobank and Health Information System that contains the genetic data of every single citizen of Estonia. The biobank is the backbone of the country’s plan to overhaul its healthcare system to offer more personalized medicine to its citizens. The country’s small size and high-tech abilities make it the ideal place to try and pull such an initiative off. 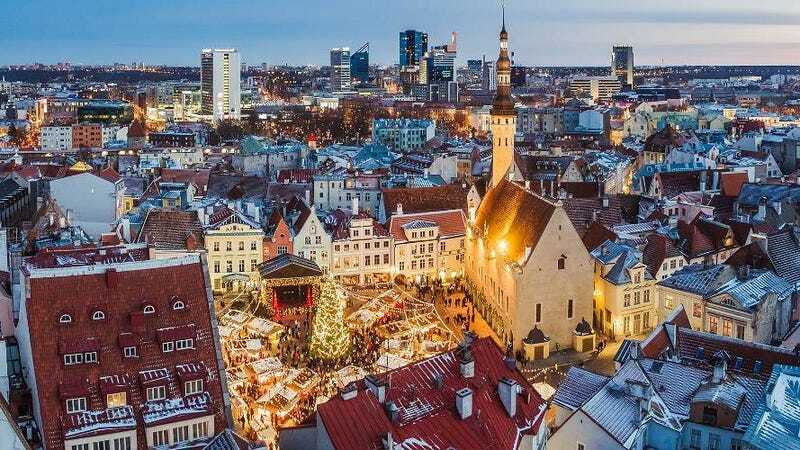 The new initiative is a joint effort between Estonia’s Ministry of Social Affairs, the National Institute for Health Development, and the Estonian Genome Center of the University of Tartu. The Estonian government has committed 5 million euros to the initiative in 2018. Estonia isn’t the only place hoping to integrate DNA sequencing into its healthcare system. Dubai recently announced similar plans to DNA test all of its 3 million residents. And in Nevada, a healthcare network and a research institute are planning to sequence the DNA of 40,000 Nevadans, as part of an effort to understand what health issues might be particular to people in the region. In Estonia, the Estonian Human Genes Research Act governs the activities of the biobanking project and gives citizens privacy rights and full control over their data. But for some, broad government access to such data will undoubtedly raise some concerns.